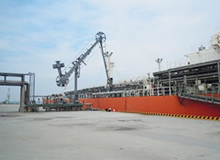 This facility is for cryogenic LPG, or ammonia received from an ocean tanker. 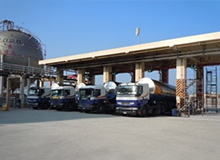 The product is stored in the cryogenic tank and can be loaded out by lorry or coastal tanker after heating up under a high pressure. 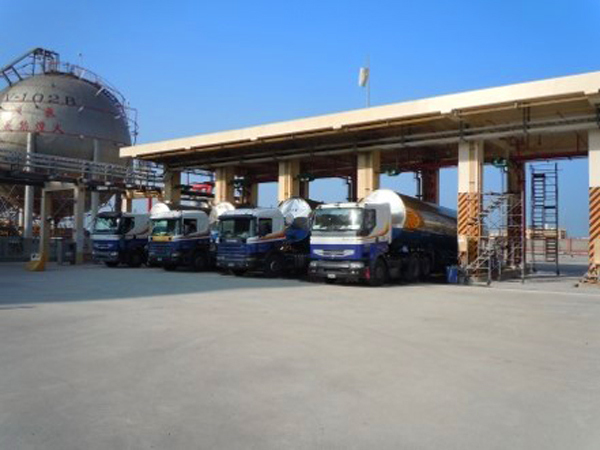 We constructed the entire plant including processing, civil & structure, tankage, electrical & instrument, and control & automation. 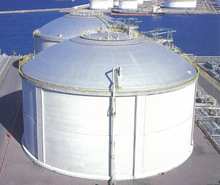 There are two types of low-temperature tanks, metal double- wall and PS (pre-stressed concrete). You may choose whichever type suits your needs. The outer tank of the PS type tank was designed by our Engineering R&D team. 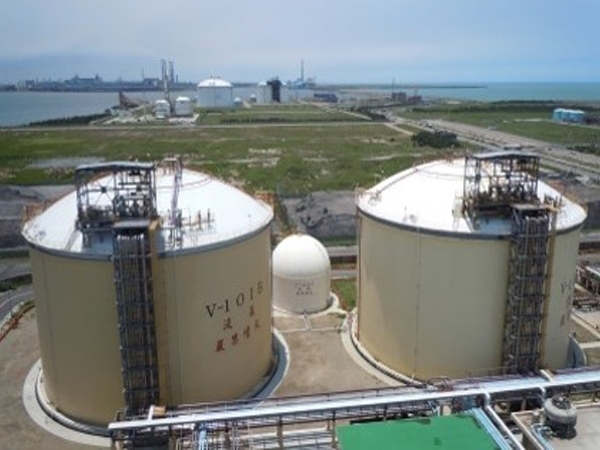 This technology received many awards, including the Technological Progress Certification from the JPI (Japan Petroleum Institute), prizes from the Safety Engineering Academy, and rewards from the Science & Technology Agency in Japan. 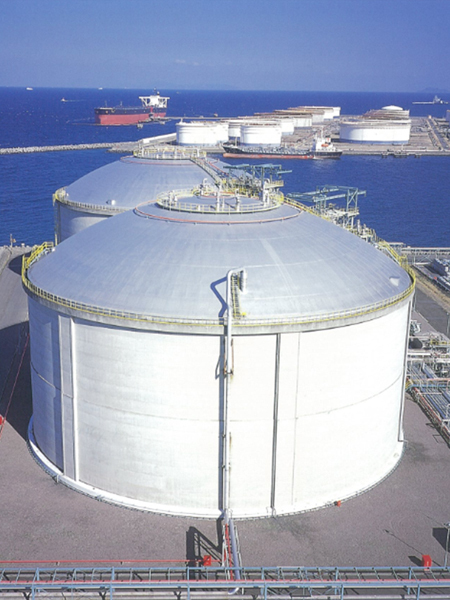 This facility is for LPG received from an ocean tanker, for storage in the 45,000 ton tank, and is loaded in the chemical factory as raw materials. 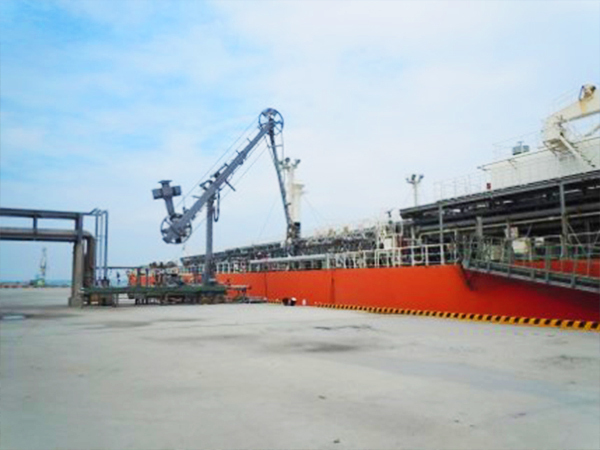 We completed the project as a whole, including processing, civil & structure, tankage, electrical & instrument, and control & automation, as an EPC contractor. 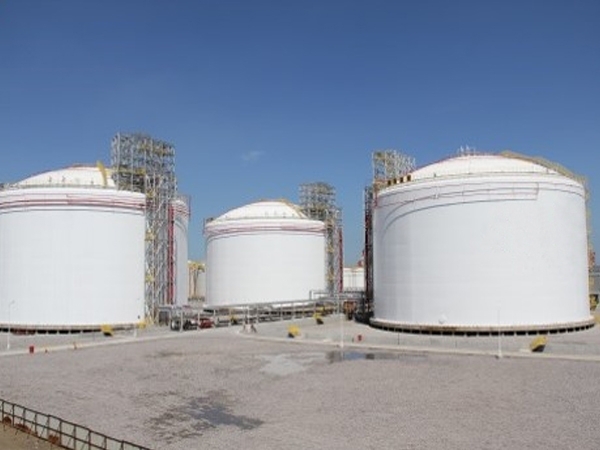 We oversaw the entire project, including processing, civil & structure, tankage, electrical & instrument, and control & automation at phase 1 and phase 2. 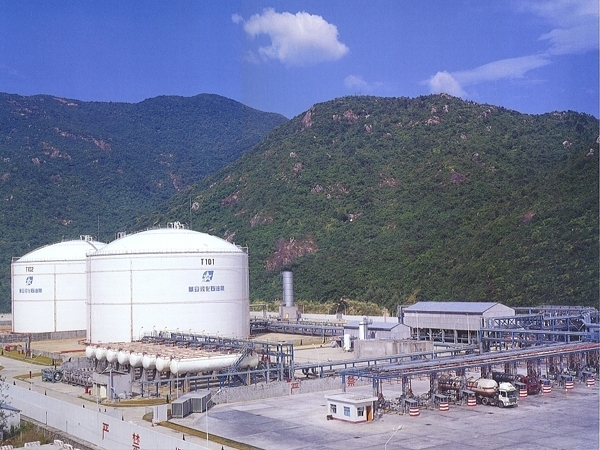 We constructed the first LPG storage terminal in China, Shenzhen in 1998. 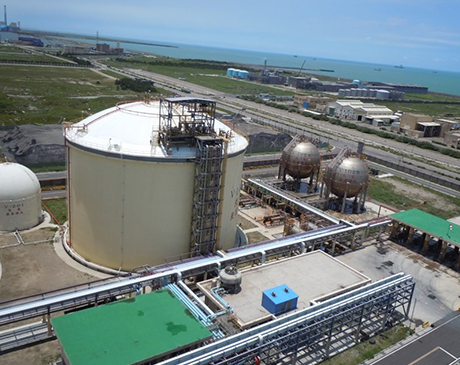 We were awarded by the ENAA (Engineering Advancement Association of Japan) in 1998 for our engineering contribution in the construction of this terminal. 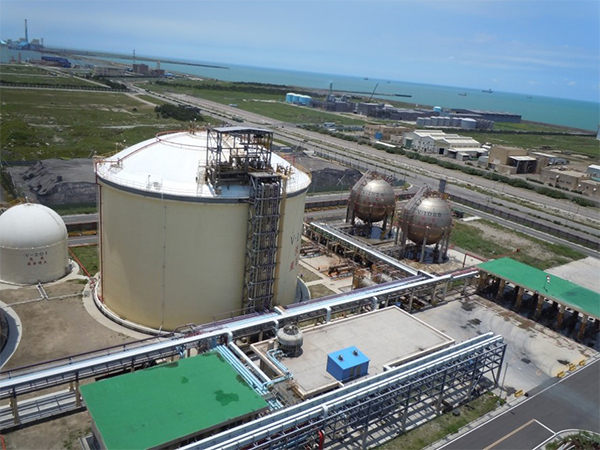 In other words, we were acknowledged as one of the leading constructors contributing to a Chinese project. 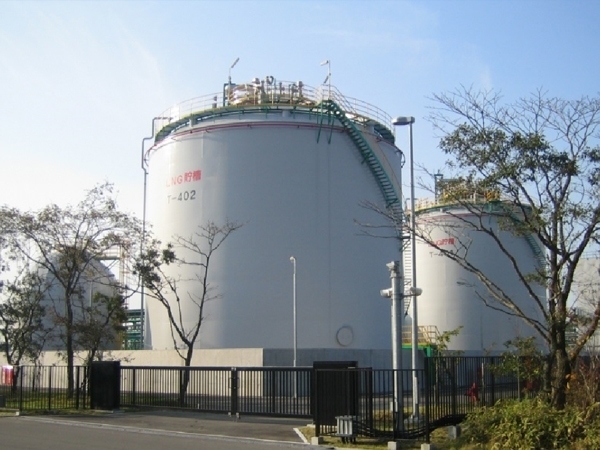 Most LNG in Japan is imported from overseas, but this LNG tank storage is for LNG produced in Japan.